The last week has well and truly felt like spring has arrived. Wherever you look there are shoots of green appearing from the ground and even the most miserable roadside patch has now been transformed into a meadow of colour. My newly acquired allotment, which I thought was baron, suddenly has new shoots springing up all over the place that I've inherited from the previous owner. There's something quite life giving and energising about nurturing new shoots and you don't always need an allotment space or large back garden to do it. One of the easiest and low maintenance things to grow is herbs. Even when I had no outdoor space in my central London flat, I still managed to grow fresh mint, tarragon and basil on my window sill. Making a simple salad gave me so much pleasure when I picked a few sprigs of basil or mint to garnish it with. Unfortunately, a couple of herb pots was as far as my green fingers were permitted to dabble whilst I was in London but now that I have more space I wanted to experiment further with herbs and medicinal flowers and April is the perfect time to get planting. We are currently in the process of renovating our home which means that both our front and back garden are going to be ripped up and landscaped over the next few months. This makes planting anything in the ground a little difficult right now as we're still working out our plans. The best solution I could come up with was buying some big barrels from my local garden centre that could be moved around the garden before, during and after the renovation and still provide me an undisrupted supply of fresh herbs and medicinal flowers. Maybe you have a windowsill that could be transformed with a window box, or maybe you haven't really done much in your garden before now but it's crying out for some attention. Whatever space you have, it's time to make it start earning its keep. It's a great spring project to get your teeth stuck into. 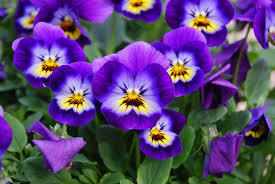 Why don't you have a think about what you can grow this spring. Heres some suggestions below. Borage: Good for dermatitis, arthritis, eczema, PMS, as well as the pain, tingling and numbness that can occur in diabetes. Dandelion: Gentle diuretic and is traditionally used for urinary disorder and poor digestion. Very high in potassium and a good all round health tonic. Mint: Good for digestion, wind and headaches. Aloe Vera: Shown to speed healing time and encourage cellular repair. Is a handy first aid remedy for burns, cuts and skin abrasions. Rose: Reduces skin redness and swell of capillaries beneath the skin. Nettle: Leaves are very nutritious, high in vitamins, minerals and chlorophyll. Gives the immune system a boost and contains anti-inflammatories and natural painkillers. Good treatment for rheumatic disorders and arthritis. St Johns Wort - Anti-depressant and promotes skin healing. 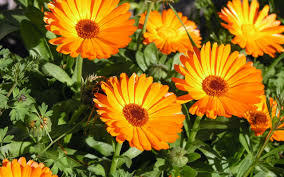 Calendula: Good for sunburn, acne and spots, soothes ulcers and digestive problems. Lavender: Calms and relaxes, eases pain and is antiseptic for cuts and bruises. Echinacea: Boosts the immune system, and lessens the severity of colds and flu. Viola: Anti-inflammatory and is good in a soothing balm used to treat eczema, acne, pustular spots and other skin outbreaks. Taken as a tea it can loosen congestion in bronchitis and coughs and its diuretic properties help with cystitis, rheumatism and urinary disorders. Rose Hips: When made into a vitamin rich syrup it keeps winter coughs at bay. Contain high doses of vitamin A,C and K plus the B vitamins thiamin, riboflavin and niacin. 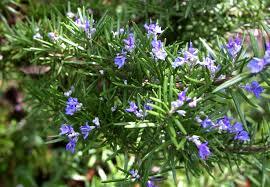 Rosemary: Help memory and concentration, improves mood and sweetens breath. 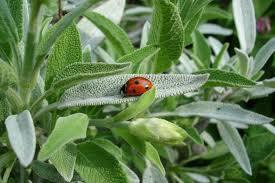 Sage: For coughs, colds, congestion, hot flushes. White Yarrow: Was traditionally packed into open wounds to stem bleeding. A salve or lotion can be created to improve healing of bruises, cuts, rashes and piles. Drunk as a hot tea it brings down temperature and encourages sweating when suffering from fever. Don't forget to check your junk inbox for the confirmation link. Thank you!